Utah Compose: Write an argumentative essay in Google Docs--copy and paste it into Utah Compose to get a score. 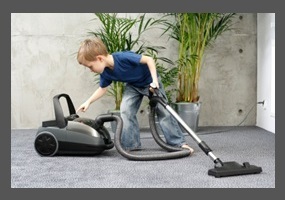 Essay Topic: Should parents pay their kids to do their chores? Growing up, there wasn’t a lot of money to go around. My two sisters and I were raised by a single mom. Once I was old enough to start coveting “stuff,” I needed to find a way to pay for it myself. So from the age of eight, I had a variety of part-time jobs, including paper routes, dog walking, babysitting, pumping gas and life-guarding. By the time I got my first real job, I had plenty of work experience, yet zero knowledge of finances or budgeting. I once spent my last $20 on a new pair of shoes, knowing I had nothing but bagels and butter to live on until my next payday. Now that my kids are between six and 10, they often want new stuff, too, and at ever-increasing price points. Milla, who’s almost 11, wants an iPod touch (“You’ll be able to email and text me everywhere,” she dangled) and loves clothes (not sure where she gets that…). My six- and seven-year-old sons constantly ask for the latest video game, Webkinz or Lego kit. My answer is always, “not unless it’s your birthday, Christmas or a true necessity.” But we do want to teach them money management skills, so a chores-based allowance makes sense for us. Every week, they’re assigned a few extra jobs: vacuum, clean a bathroom, mop the kitchen floor, feed or brush the dog, unload the dishwasher, flip the laundry, or help with yardwork. We also expect them to contribute to the household without any monetary gain. The rules are: respect each other, no physical fighting, use your manners, do your homework, keep your rooms clean, make your own lunch, and tell your mom she is the best mother in the whole world as o ften as possible. We’ve tried di fferent ways to reward allowance — monthly, weekly, or depositing it directly into their bank accounts. But I found it easiest to go with the three-jars method: Each kid gets $5 a week, but one loonie goes to charity and another goes into a savings account. They can spend their $3 a week any way they want — or, ideally, save it. I am happy to report that Milla is much more fiscally responsible than I was at her age (or, more accurately, than I was at age 30): She should have enough for her iPod before Santa arrives. When I was a kid, I received a weekly allowance to do the dishes each night and to clean our cat’s litter box once a week. To this day, I remember how resentful I felt when my friends were out playing while I was stuck behind a sink, or forced to clean the gross cat box. But it taught me two great life lessons I carried with me into adulthood: One, a dishwasher is essential. And two, if I leave the cat’s litter box long enough, my husband will clean it. When our sons were eight and five, we started giving them an allowance based on chores, too. You know what it got me? Two boys who wanted money any time I asked them to do something around the house. It started to drive me loony, so we decided to change tactics. My husband and I sat down with the boys and explained the responsibilities required to keep the house running smoothly. They got a list of tasks we expected them to do each day — not because they were being paid, but because it’s part of being in a family. They do receive a monthly allowance, but it’s not contingent on chores. You may wonder, where’s the accountability? This is why we chose a monthly allowance and not weekly. On the first day of the month we give my older son $20 and my younger son $15. It’s theirs to spend as they wish — but once that money is gone, it’s gone until next month. The first time we doled out their monthly allowance, both boys spent all their money on candy and cheap toys and had nothing le ft for the next 29 days — this was how they learned the importance of budgeting. When they bought dollar-store toys that broke a few hours later, they learned about quality, not quantity. When my youngest son didn’t spend his allowance for three months in order to buy himself a digital camera, he learned how to save. And now when I ask for help unloading the dishwasher, I don’t have to check my wallet to see if I have change first. Google Classroom: A malapropism (also called a Dogberryism) is the use of an incorrect word in place of a word with a similar sound. The assignment is on google classroom.